Although the number of applications did not increase over the summer period, a slight rise in pending cases was recorded. 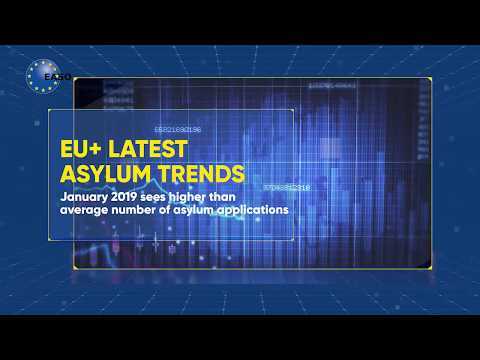 Analysis carried out by the European Asylum Support Office (EASO), based on data exchanged by EU+ Member States, reveals that this year, applications for asylum did not increase during the summer months. Indeed, some 52 500 applications were lodged in August, down slightly from July, but in line with previous months1. Despite the overall decline, some citizenships were still applying for asylum in increasing numbers. Member State asylum authorities issued a total of 43 725 asylum decisions (first-instance) in August, one of the lowest levels over the last three years. This means that the number of cases awaiting a decision (first instance) started to rise for the first time since late 2016. The main countries of origin of applicants in August were Syria, Iraq, Afghanistan, Turkey and Iran. With the exception of Syrians, all these nationalities lodged more applications for asylum than in July. In particular, nationals of Iraq lodged the most applications (4 020, + 12 % from July) so far in 2018, while levels of applications from Afghan nationals (4 010, - 8 % from July) were also considerable, dropping slightly from July. Turkish nationals continued to lodge a considerable number of applications (2 750, - 4 % from July). Similarly, applications from Iranian nationals rose sharply (2 460, + 19 %), reaching the highest level in almost two years. In contrast, nationals of several Western African countries lodged fewer applications (between 25 % and 69 %) compared to a year earlier. This contrasts to trends in the past four years, when asylum-related migration from this region tended to rise over the summer months. Likewise, the share of applications lodged by nationals of visa-liberalised countries declined, after expanding for most of 2018. In August, the output of first-instance authorities remained at relatively low levels: some 43 725 decisions were issued at first-instance, in line with July. Since May, fewer than 50 000 decisions have been issued each month. The EU+ recognition rate for first-instance decisions issued in the six-month period between February and August 2018 was 33 %. Compared to the previous semester, the share of decision granting EU-regulated forms of protection decreased for most countries of origin, with the notable exception of Afghanistan, for whom the recognition rate was 43 %, 10 percentage points higher. At the end of July there were 431 275 cases awaiting a decision at first-instance, about 10 000 more than a month earlier. This was a notable development, as the stock of pending cases had been constantly declining since September 2016. 1 Numbers of applications are based on EPS monthly data, and estimated from EPS weekly data for some missing countries.